A sniper on a mercenary assassination team, working for an unknown client, kills the minister of mines of the Congo. 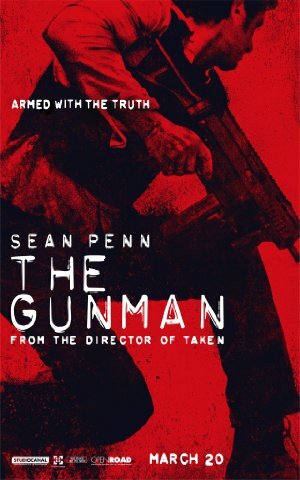 Terrier's (Sean Penn's) successful kill shot forces him to go into hiding to protect himself and the members of the team from retribution. This includes abruptly abandoning his girlfriend who has no idea what is going on. The assassination, paid for by a foreign mining company, triggers wide spread chaos and death in an already inflamed Congo. Terrier returns to the Congo years later working for an NGO, but eventually finds himself to be the target of a paid hit squad somehow connected to the ministers assassination. This leads to immediate deaths and the endangerment of the people working around him, and forces him back into hiding. In trying to discover who has put a price on his head, he begins to reconnect to the members of his old assassination team, including his old girlfriend. Always aware there is no path to redemption for his crimes, he is also periodically incapacitated by a type of accumulated and evolving physical brain damage caused by the hard knocks of his occupation. Unexpectedly, given the time that has elapsed, his reconnection to his old assassination team exposes additional intrigues with immediate deadly consequences. All of his years spent in hiding, have merely delayed the twisted end game that now enfolds.